Institute of Management of the Slovak University of Technology (IM STU) in Bratislava, Partner of the Interreg SKHU EYES project organised a workshop on how to create and send mass e-mails so that they do not end up in the waste basket in co-operation with the STU Scientific s.r.o. and STU Incubator of Technology in Bratislava on 16 August, 2018. Our invited expert was Mr. Vojtech Kubek, one of the successful startuppers in the STU lncubator of Technology. The main topic of the workshop was how to create and send event email messages so that they do not end up in the waste basket. 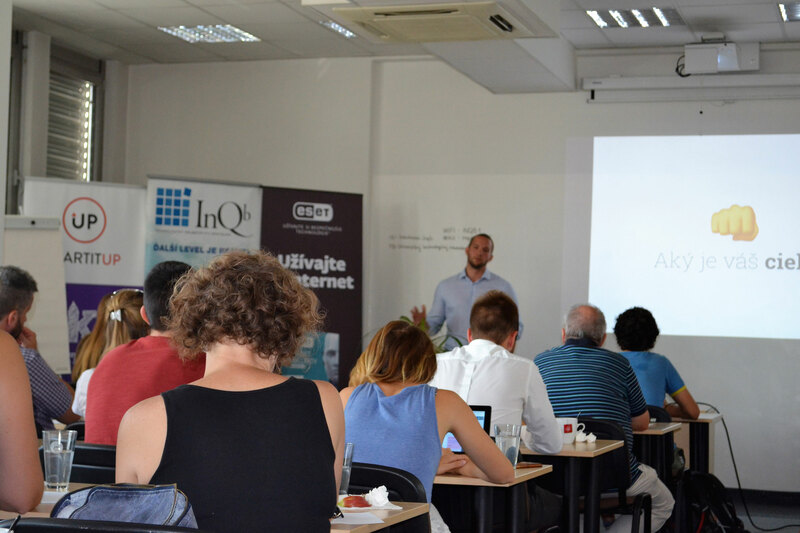 The expert presenting at the workshop was Mr. Vojtech Kubek, founder of GuestCloud, legally represented by the Entropia s.r.o. Mr.Vojtech Kubek has had extensive experience in advertizing and event organisation that led him to found the startup GuestCloud offering innovative solutions in event organisation: event microsites with RSVP, tablet-based app for guest check-in, real-time printing of name badges, event SMS messaging.